When in comes to silver investing advice, almost all business analysts agree that there can be no better strategy than buying into physical silver bullion bars and coins compared to all other silver investing alternatives like silver stocks, futures and ETF’s. Nothing beats investing in silver bullion products due to their unbeatable metal purity, low premium costs and certainty of holding on to centuries’ proven treasure. Silver stock market is just too volatile and you need to possess strong stock analytical skills to be able to analyze silver mining companies, all these can cost you a lot of money in the long run if you don’t have the knowledge. 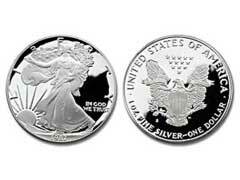 How do you know what to choose, investing in silver bullion or into bullion coins? Both types of silver products come with their own advantages and disadvantages that we will be discussing below. If you would like to take advantage of silver investing strategies at full extent, acquire both silver bullion coins and bars. Silver bullions in the form of bars are made from .999 grade silver, the purest form of silver available on the market. Bullion bars are compact, easy to store and come in a variety of sizes ranging from 1 ounce bars to 100 oz bars. The larger the size of silver bars you buy, the less cost per ounce of silver you will be paying in the end. So investing in silver bullions of larger sizes is a very cost effective investment strategy. Silver bullion coins are sometimes referred to as silver rounds and are also made of .999 grade of silver but in standard size of 1 oz, very rarely you might come across a silver coin weighing in at 5 oz. Silver bullion coins are more liquid in difficult economic times and could be easily traded for food or supplies. Some investors prefer silver coins for survival purposes and find silver bullion bars of larger sizes impractical and hard to deal with in the worst case scenario. Investing in silver bullion coins or bars is your personal investment decision that you should make after having carefully evaluated all pros and cons for your situation.